There’s a new girl visiting class. María is from Mexico, and she is very smart. Maybe even as smart as Gordon! Gordon thinks they could be good friends. Except that strange things happen to him whenever María is around. 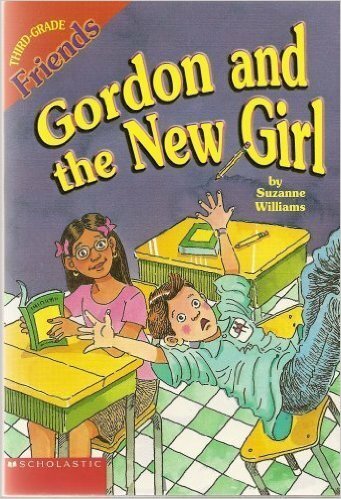 He falls out of his chair, he drops things–Gordon’s become a total klutz! Hilary and Josh think they know what’s wrong–Gordon’s got a crush on the new girl. And Josh says that all girls (except for Hilary, of course!) are trouble. Can Gordon break María’s spell? Or will he stay clumsy forever?